I’m the director of the center and woman orchestra. Cultural manager, art director and curator. I worked for years in the field of design and advertising until I decided that Culture and Contemporary Art, specifically creative processes, educational programs and critical perspectives, were enormously enriching for me and I wanted to be in touch with them. I am a 16 year old teenager and a 2 year old baby’s mum. I love carrying out projects that help improve this crazy world a bit from a critical point of view and a professional approach, although free and, apparently, a bit naive or superficial from time to time. As much as enjoying my family, which I adore. I’m Belen’s husband. I studied telecommunications engineering and I am currently developing mobile applications. Many years of experience on UX/UI, backend technologies and native development for iOS and Android. I am constantly experimenting with emerging technologies to broaden the possibilities for interactivity. I love physical interactions and have designed several experimental projects involving sensors, microcontrollers and electronics. Of course, I also love creation in all its formats. 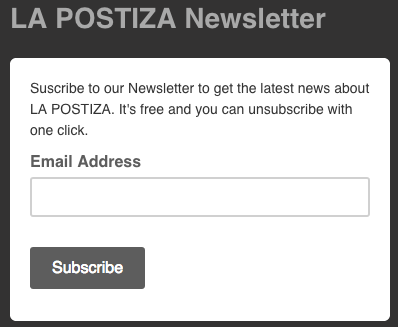 I adore La Postiza’s project and I try to help as much as I can.